One of the challenges organizations face on Twitter is presenting themselves in a space built for individual human exchange. Tools like Twitter are built for connection. 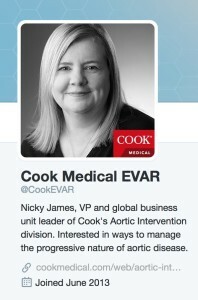 If you want to see how one large brand handles their Twitter presence, look at Cook Medical. They deliver the most elegant solution to personal social presentation that I’ve seen from a large organization. 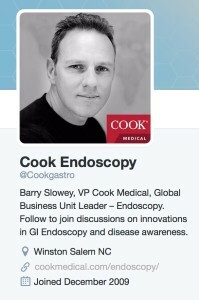 Each division of Cook maintains its own Twitter account – endoscopy, reproductive health, etc. But each account is maintained and driven by a leader within the division. The Twitter account is named after the Cook division but the bio and the picture on the account reflect the Cook human curating the feed. 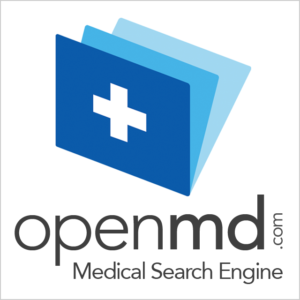 Check out their accounts for vascular, aortic intervention, IR, and critical care. As a gastroenterologist, I’m clearly connecting with Cook endoscopy. Or better, I’m connecting to the VP over endo. Perhaps more importantly, I’m not engaging with a 20-year-old college intern hired at minimum wage to sit behind a logo and churn link bait about colon cancer awareness. If one of these guys leaves, Cook just fills in the account with their next talent and keeps the audience and Twitter juice the organization has worked to build. This public positioning of people within organizations rather than just organizations is critical. But it’s far from the standard. Again, this brilliantly balanced solution applies to all organizations from hospitals to physician groups or any entity bigger than just one person. Don’t make me talk to a logo.